Once you start exploring the world of real beer, youâre likely to come across all sorts of phrases and terminology youâre not familiar with. Itâs not essential you know them to enjoy good beer, but they can help you navigate your way through the many different styles available to try. Ale: Style made with a top fermenting yeast, ales are generally robust and fruity. Aroma Hops: Hops rich in oils and chosen for their aroma contribution to the beer. Barley: Grain used to produce the malt used in brewing. Belgian Lace: The white âlatticeworkâ of foam from the head of a beer, left on the glass after a sip has been taken. Bitter: A flavour characteristic of beer, contributed by the hops. Brown Ale: A top-fermented beer, lightly hopped and flavoured with roasted and caramel malt. Body/Mouthfeel: Density of a beer â the amount of mouthfeel experienced by the drinker. Bottom-fermenting Yeast: Works well at low temperatures and ferments more sugars. Also called âlager yeastâ. Bouquet/Aroma/Nose: A combination of hops, malt and yeast by-product to create the fragrance of a beer. Brew Kettle: One of the vessels used in the brewing process (to boil the wort) â also called a Copper. Carbonation: âSparkleâ caused by carbon dioxide, created during fermentation or injected at a later stage. Cask/Bottle Conditioned: Yeast is left in the brew to finish the fermentation resulting in its carbonation developing naturally in the package. Conditioning: Warm conditioning develops a complex of flavours, cold imparts a clean and rounded taste. Craft Beers: Beers produced by small, independent brewers with only traditional brewing ingredients such as malt, hops, yeast and water and brewed using a traditional brewing processes. Cream Ale: A combination of top- and bottom-fermented beers, producing a sweet, lightly hopped brew. Draught Beer: Not a beer style, but a method of dispensing beer. Dry Beer: Term for light-bodied brews with minimal aftertaste. Dry Hopping: Adding extra hops to the beer during fermentation or conditioning in the keg to enhance its aroma. Esters: Fruity flavours produced by the yeast while fermenting. Fermentation: The process of the yeast converting simple sugars in the wort to alcohol and carbon dioxide. Filtration: Slightly cloudy after lagering, beer requires filtering to remove any remaining yeast and other materials. Most Craft beers are non-filtered. Grist: Term for milled grains. Head: The foam at the top of a beer, which is the protein pushed out of suspension by the rising bubbles. 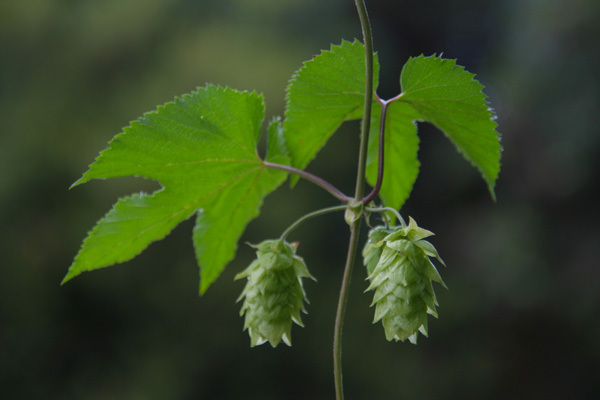 Hops: The flower of a perennial vine and one of the four key ingredients of beer. Infusion: Simplest form of mash â grains soaked in water. Keg: Beer container â usually 50 litres. Lager: Bottom fermented beer that is fermented at colder temperatures than ales. (From German âlargenâ â to store). Liquor: Water used in brewing process. Malt, Malted Barley: One of the four key ingredients of beer. Malt is barley which has been moistened, allowed to germinate and then dried. Mash: A key step in the brewing process, malt is ground and blended with hot water to convert the starch of the malt to sugar. Milling: First step in the brewing process. Barley malt is crushed between pairs of rollers, separating the husk from the meal body. The meal body is fractured, preparing the malt for mashing. 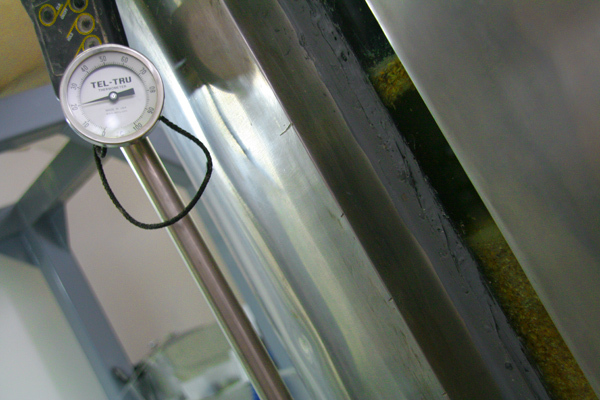 Original Gravity: Density of the wort prior to fermentation â a measure of the amount of sugar and solids within the wort. Pale Ale: Amber or copper-coloured, top-fermented beer brewed using pale malts. Pilsner: Term for pale, golden-hued, highly hopped, bottom-fermented beers. Pitching: Adding yeast to the wort. Porter: Very dark, top-fermented beer first brewed in London in 1722. Not as dark as a stout. Roasted Malt: Specialty malts affecting both the colour and flavour of beer. Specific Gravity: A measure of the density of a liquid or solid, as compared with that of water. Stout: Very dark, heavy, top-fermented beer made from pale malt, roasted unmalted barley and often, caramel malt. Tannins: Organic compounds contained in some cereal grains and hops. Creates a dry sensation on the tongue. Top-fermenting Yeast: Works well at warm temperatures (typically 20 degrees celsius). Unable to ferment some sugars but tolerates higher alcohol concentrations than bottom-fermenting yeast. Water: One of the four key ingredients of beer. The water must be pure for a crisp, fresh taste. Wheat Beer: Beer containing a high proportion of malted wheat. Wort: The name given to the sugar extract produced from the malted barley during the mashing process. Yeast: One of the four key ingredients of beer. Yeast is a single cell organism which converts the sugars contained in the wort into alcohol and carbon dioxide. Zymurgy: The science of beer brewing. Craft Brew â The Beer Loverâs Guide To Victoriaâs Microbreweries is a handy booklet containing information on loads of the stateâs breweries and has been put together by Regional Development Victoria, Celtlink Creative and the Victorian Association of Microbreweries (VAMI). â¨Copies can be found in many bars, bottle shops and breweries and can also be obtained from Information Victoria, 505 Little Collins Street, Melbourne, or by calling 1300 366 356 or visiting www.information.vic.gov.au.